Bates Masi Architects is a company located in Long Island whose portfolio includes school, houses, offices and furniture. They say they are not interested in the size or type of their upcoming projects, but rather in “the opportunity to enrich lives and enhance the environment”. 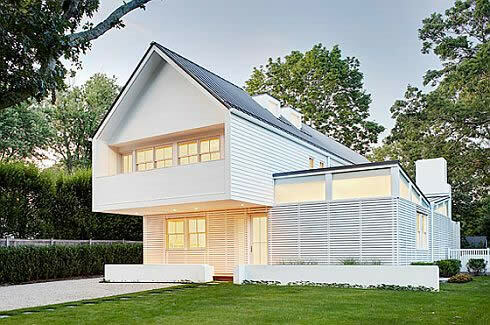 This particular house was elaborated for a couple with a growing family. It has two floors and spacious rooms with high quality interior design. However, the most important role in the project was played by the exterior which does not lack a swimming area, “fireside entertaining”, playing grounds and sport lawns.